There has been a lot of twists on Monopoly over the years, but none as blunt as this one. 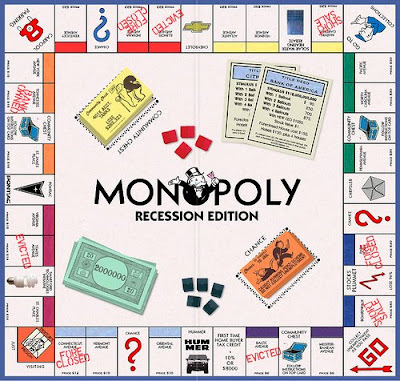 Monopoly: Recession Edition has foreclosed properties, crashing stocks, and insane taxes. But if you manage to pass Go, you collect an unemployment benefit!